The full list of narrators includes: Roy Abramsohn (Performer), Corey Burton (Performer), Nancy Cartwright (Performer), Bob Caso (Performer), R. F. Daley (Performer), Charles Davis (Performer), Neil Dickson (Performer), Ellen Dubin (Performer), Jim Meskimen (Performer), Tamra Meskimen (Performer), Michael Gough (Performer), Kaleo Griffith (Performer), Christina Huntington (Performer), Larrs Jackson (Performer), Don Leslie (Performer), Ralph Lister (Performer), Mark Mintz (Performer), Phil Nee (Performer), Joe Ochman (Performer), Mr. Phil Proctor (Performer), Enn Reitel (Performer), Patrick Renna (Performer), Alan Shearman (Performer), Thomas Silcott (Performer), Tadao Tomomatsu (Performer), Bob Walter (Performer), Matt Wolf (Performer), Robert Wu (Performer), Michael Yurchak (Performer), Gregory Lee Kenyon (Performer), Darren Richardson (Performer), Jason Wilburn (Performer), Rick Zieff (Performer), and Roger Steffens. Uninteresting story. On top of being boring, the "Sci-Fi" doesn't even begin to make any kind of sense. Not even worth it as a curiosity. The special effects used to try and immerse us in the story is more distracting than anything... And don't get me started on the "music"
Long, but god stories often are. I recommend this one to anyone who enjoys fiction books. Audio: Great Production Values; Story: Where Was the Editor? First off, I haven’t heard an audiobook with production values this high before. The full cast did a very good job performing their lines, and although the narrator was sometimes a bit overdramatic, he was easy to listen to. There was also decent soundtrack and sound effects where used (where appropriate). With regards to the story: I enjoyed the first part up to what seemed to be the climax of the main story arch (even though it was a bit shallow and full of cliches). But I was very confused, since I was only about 1/3 of the way through the book. 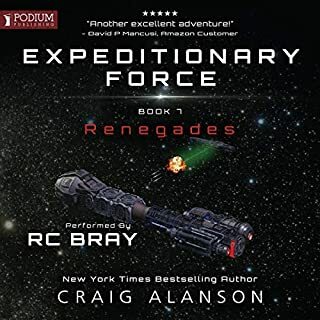 I continued to listen, and found that unfortunately, the rest of the story just went on, and on, and on (and on), meandering through a series of events that ranged from mildly boring to mildly interesting, without ever really achieving any real tension. 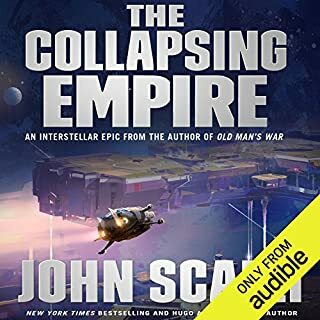 I was tempted just to give up on the whole thing, but I decided to continue to listen since I didn’t have any other audiobooks available. 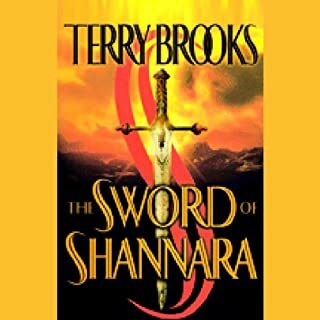 I wish that the author had a better editor, who suggested that he finish the book after the initial story arch concluded, then save (and further develop) the remaining material for a couple of other books. I think there is potential here, but the author failed to achieve it with this draft. Overall, this book has some entertainment value, but it’s a bit tepid at best. 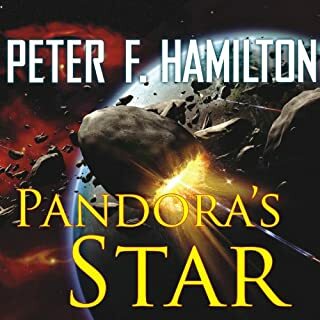 But as I said earlier, it has great production values, and for those listeners looking for something a little longer to fill up the hours, you won’t find too many audiobooks longer than this. The story is fun, simple and escapist pulp sci-fi...a bit old fashioned but enjoyable. But what makes this book worth it is the excellent performance and production values. I hope the producers can do this kind of thing more often. The performance: Wonderfully done, with multiple voices (a necessity given the large cast of players) not only reading but performing the story. 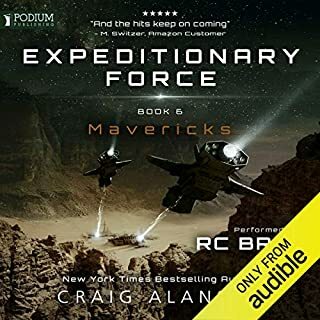 Music, sound effects, and a great cast make this not just an audiobook, but almost a play or an "audio-movie." 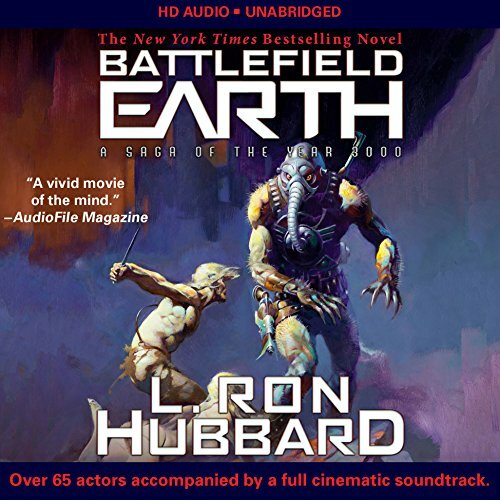 Battlefield Earth is a fun book, but the brilliant rendering makes a 4-star story into a 5-star audiobook. Say what you like about L. Ron Hubbard [and there is a lot to say], he could write fun stories of thrills, spills and derring-do with brave heroes who laugh in the face of danger, beautiful damsels in distress and evildoers who seem to be evil because evil is fun. Deep themes? Nope. Subtle messages? Nada. Thought provoking concepts about the present and future of humanity? None here. Adventure, action, rollicking fun! That is not to say that the story is free of blemishes. The most grating is that the (human) characters are handled via ethnic stereotype (with attitudes that seemed more fitting to the 1930's than the 1980's publication date of the book or the 2010's date of this review). 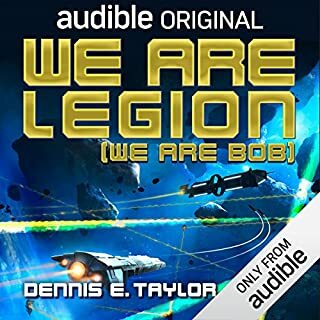 Be warned: This audiobook clocks in at just under 48 hours [the original book was over 1000 pages]. There are about a dozen places where you figure the story is winding up only to find that you are getting swept along as it continues for many more hours. Lastly: For those who worry that Battlefield Earth is some sort of propaganda or screed for Hubbard's Church of Scientology: it isn't. Yes, there are a few minor points in there aligned with Scientology's teachings, but they appear rather late and are incidental to the story. 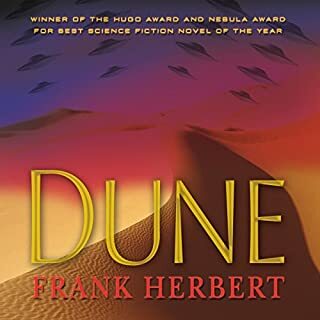 Notes: There is a similar multi-voice production of Dune on Audible (Dune being a much richer and more complex source text than Battlefield Earth). And if you like Hubbard's pulp writing style, you might want to check out Ole Doc Methuselah. 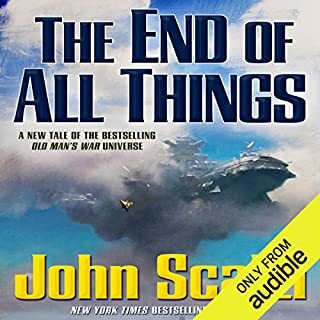 Audio book Battlefield Earth is spectacular! What made the experience of listening to Battlefield Earth the most enjoyable? Using Kindle on my android phone I can listen or read or do both at the same time. When I'm in the car or train or running I can listen and get all the amazing sound effects. Otherwise I can read -- much faster than the narration but I do miss the sound effects. It's my choice which way to go. Lately I've just been listening because it's much more entertaining. It's not just someone reading the text of the book. There all all kinds of sound effects too. What was one of the most memorable moments of Battlefield Earth? I don't want to give too much away. There are many memorable moments. One is Jonny and the Psychlo drone. Lots of suspense. No way! It has 47 hours of audio! 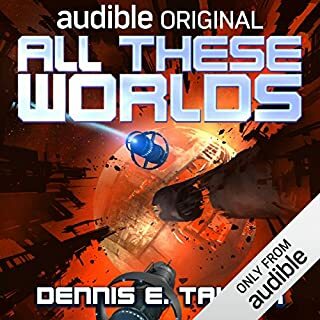 The Kindle audio version is the best of all worlds from a technical book aspect. 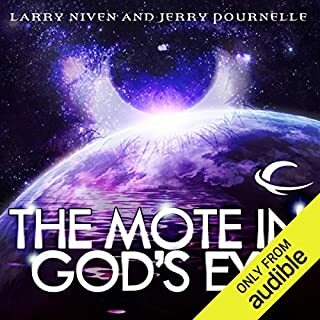 You can listen as an audio book or just read the text. After experiencing the audio I don't think many people will opt for just reading. Of course, you can do both. Kindle audio follows the text word for word. It's amazing technology. From a science fiction aspect, this book cannot be beat. Besides having a great story line (really bad villains and really good good guys) with the survival of humans on Earth at stake, the science in it is unassailable. Note that the book is nothing like the movie which departed from the book in major ways and became a laughing stock because of unbelievable scenes. If the movie had stuck with the book's story line, it would have become a science fiction classic on the order of Star Wars. If you have seen the movie but not read the book, you have a treat in store for you with the audio book. Ok, others are right. The book is a big cliche, but it's good overall. There's no vulgarity or obscenities. It has a cast of voices and special effects that an age group 4-11 can enjoy. 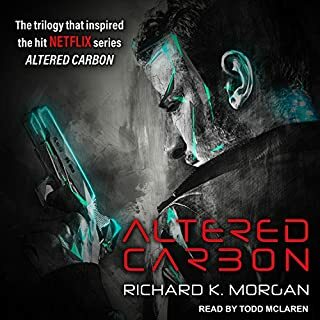 So I was very entertained by this audiobook; especially since I have read this book in the past. But what I was VERY annoying about the performance was the extended musical interludes at the end of every chapter that ranged from 15-45 seconds: that’s over TWO additional hours added to the book that are unnecessary!! There were a few chapters that did not reset on time for its own chapter and the epilogue was messed up. 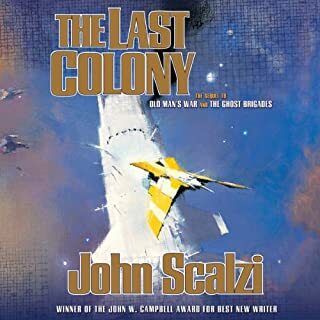 Other than that, GREAT book that is one of my Sci-fi favorites!! the story ends up being a somewhat clumsy allegory of US history. entertaining but casually chauvinistic and simplistic. I'm honestly not sure what I think of this book, and I've had a ridiculous amount of time to think it over. It is almost fifty hours long, which translates into over a month of listening time on a commute. Okay, let's start with the obvious bit. First off, it's fully cast and produced. That means tons of different voices, a soundtrack and cool sound effects that do a great job creating atmosphere. The voice actors are clearly putting a lot of heart into it, and the narrator does a terrific job. A lot of money went into this recreation by a lot of people who really respected the work and it shows. Next comes the unpleasant part. The story is ridiculous. The naming conventions are awful (Psychlos? Johnny Goodboy Tyler? Snowl?) and jars you loose from any immersion. The forward provided by Hubbard indicates that he incorporated economics, culture, politics and art to make the environment more real, but it's pretty clear that the author's understanding of those subjects was pretty superficial. It's made worse by the fact that he devotes so much time to it. You will get huge chunks of time where you have a group of people discussing the mortgage arrangement of Earth (yes, that actually happens). If you're interested how the book relates to the movie, I will tell you that the movie only covers the first third (or so) of this book. The book does clarify some of the plot holes (like why the Psychlos on Earth are so lax and incompetent), but it generally makes about as much sense as the movie does. 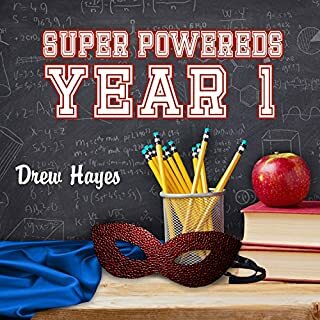 The title of this review is actually a scene that occurs in the book, and when describing it to a friend he asked, "So what's the punchline?" The one problem is that, while you could laugh at the movie for its flaws, it would be much harder to laugh at if you needed to be subjected to fifty hours worth of it to complete the story. And at least in the movie you had a good amount of mindless action to keep you entertained. In the book, the action sequences are very brief or only told in abstract after the fact. Granted, Hubbard wrote books in another time, the 1930's, and the audience expected different things from science fiction back then. Tragically, this book was written in the 80's, right in the middle of a science fiction revolution, so it is weirdly anachronistic. If this book was one third the length, I would recommend it to anyone who wants a creative adventure story you don't have to think that hard about. 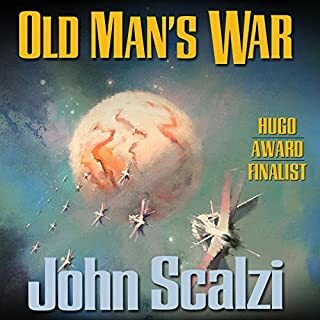 As it stands, I would only recommend it to people who really enjoy very old (note I didn't say classic) science fiction. Or can marathon the entire black and white Frankenstein movies in a day. Awesome audio / theatrical version! This version is like listening to a movie with your eyes closed with the narrator simply describing the things you cannot see. You hear various actors performing the dialog as well as matching sound effects the whole way through that paint the image of what is going on in your mind's eye. If you have heard this story before, I believe the version I heard was read by Roddy McDowall, this version will feel like you never heard the story before. Great presentation, sound effects, and voice actors. I wish there were more audio books produced in this manner. The overall presentation. All audio books should be like this. An entirely new experience. With the addition of multiple voice actors and all the appropriately used sound effects you are literally part of the story. Um. No. Who has 47 hours straight to listen to anything. 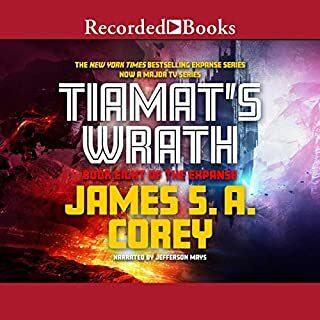 Whether you liked the book or not or even if you have heard previous audio versions of this book, give the new version a shot. 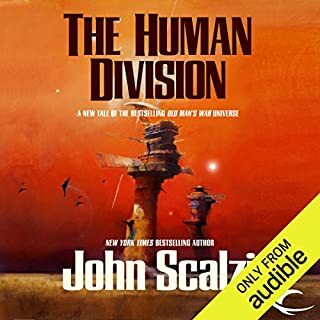 I am avid audiobook listener and, without sounding like a cliche, this is by far the beat audiobook I've had the pleasure to listen to. I am used to one voice, two max and a few sound effects. But this book has more than 50 voice actors, countless sound effects and high quality music I wouldn't mind buying by itself! And what to say about the story. There is 3D and even 4D cinema, but I think Hubbard achieved a whole new "D" with this book. The depth of each character and the different story lines running are simply unique. It is more than 40 hours of entertainment right and pure science fiction that will keep you on the edge of your sit to the very end! Completely ruins all other audiobooks! 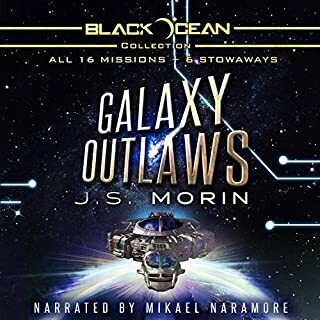 The production quality of this book is completely ruining all other audiobooks I've listened to. And I've listened to a couple hundred at this point between Audible and other services. A full cast of voice actors creates an engaging interaction between each of the characters. The music has an amazing way of installing a mood for what is happening. And the sound effects make you feel like you're listening to a movie in your ears. 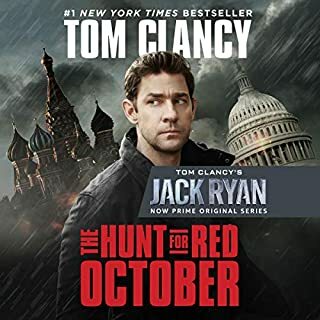 It's like other audio books are a picture and this book is a fully produced movie. Sure, the other pictures are good, but nothing comes close to this level of production. I think it's setting the ground and raising the bar for all future audio production. The story is amazing too! Starting with one person up in the mountains and then grows to a multi-galactic space opera. Very impressive!